French toast is a weekend event. Not that it’s difficult to make, but a little time consuming for a busy workday morning. 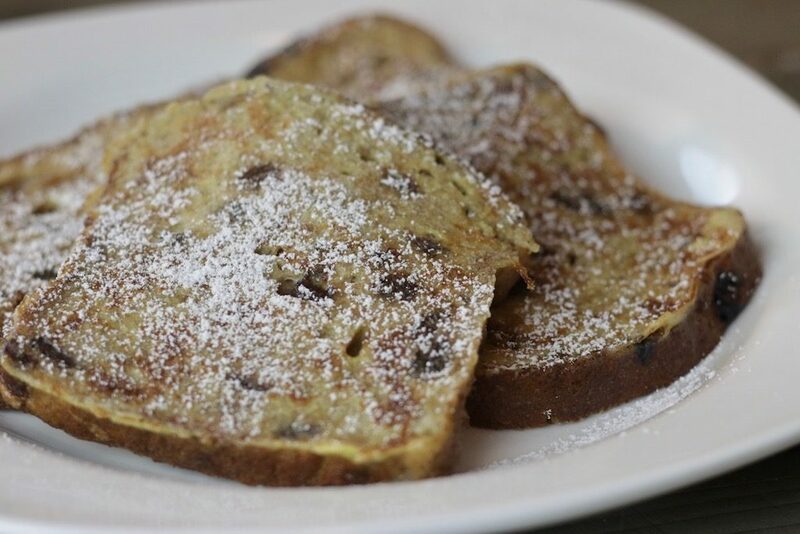 I love this recipe for Cinnamon Raisin French Toast. Saturate the bread slices in an egg mixture for several minutes, which creates a custardy center and crisp out layer. 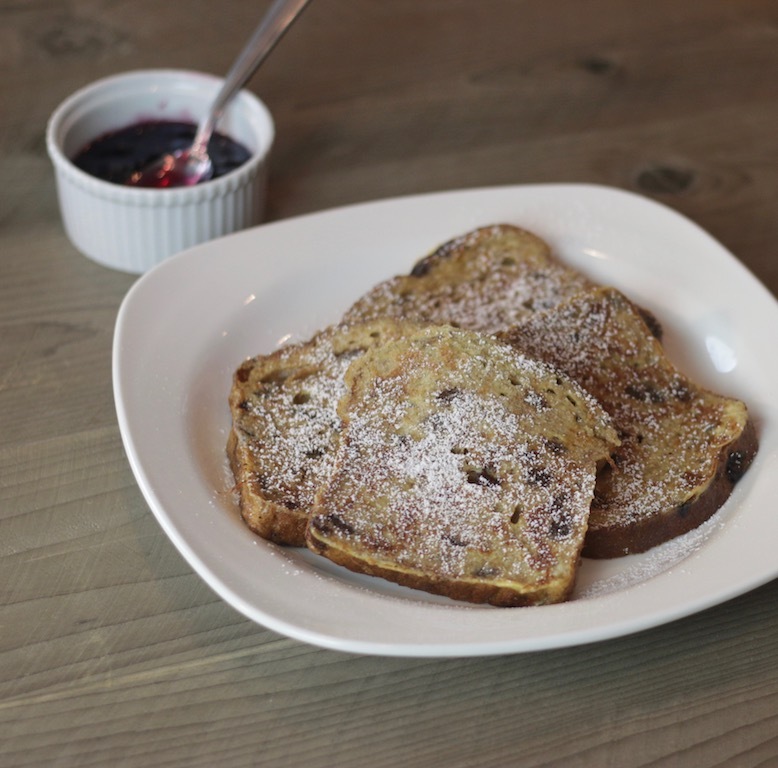 A pat of butter on top and a drizzle of warm maple syrup and you have perfect cinnamon raisin French toast! 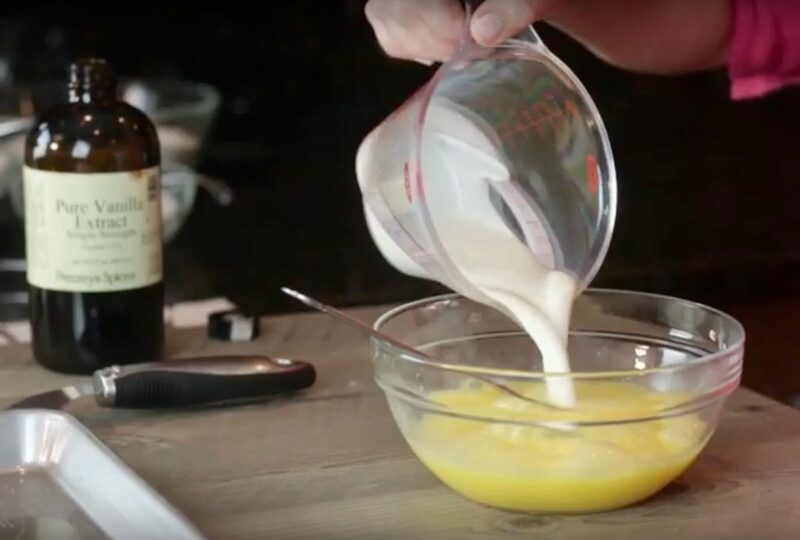 Beat the eggs, cream and vanilla in a small bowl. 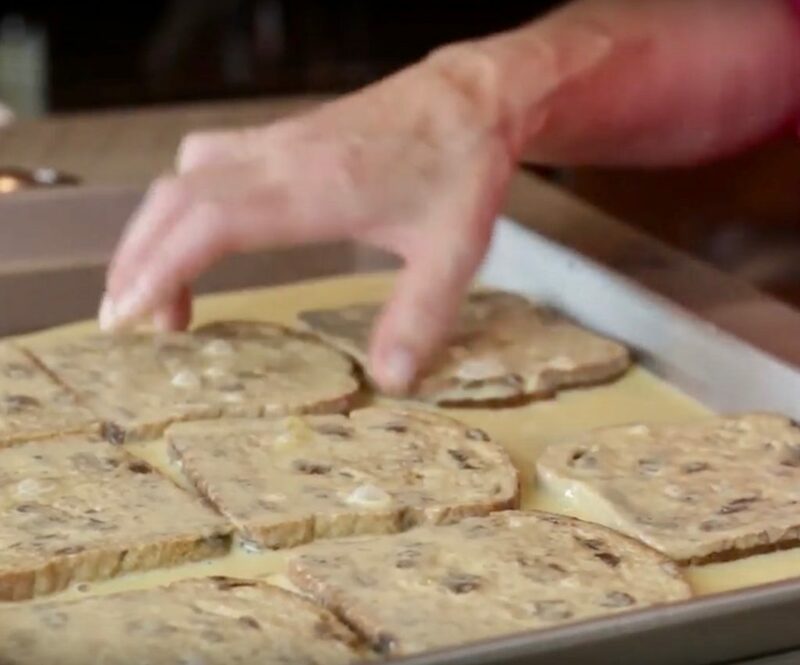 Lay the bread on a baking sheet and pour the egg mixture over the top. Let sit for 3 minutes. Turn and let sit for 3 minutes more. Melt the butter in the skillet or griddle over medium-high heat. Lay the bread slices on the hot griddle and cook until golden brown, turn and cook until golden brown. Adjust heat as needed. Hold in a 200 degree F oven until all the toast is cooked. Microwave bacon to serve with the French toast. Lay the bread on a baking and pour the egg mixture over the top. Let sit for 3 minutes. Melt the butter in the skillet on griddle over medium-high heat. Lay the bread slices on the hot griddle and cook until golden brown, turn and cook until golden brown. Adjust heat as needed. Hold in a 200 degree F oven, until all the toast is cooked.